Recently, there has been a lot of discussion about the impact of the new press for digitalisation of business and the long-term prospects for the CIO. The doom-mongers suggest the role of the CIO is becoming redundant and will be replaced by one of a number of successors, including the Chief Digital Officer or that it will be fractured into the line-of-business owners. It is true that the world is changing rapidly, led by advances in digital technology and it is having a significant impact on company strategies. However, does that mean the CIO is no longer needed? Or does it simply mean the job description for the CIO has to be redefined? This revolution increases the velocity of business with customers and dramatically increases the depth of the relationship with those customers. This change from a focus on internal efficiencies to collaborative engagement with customers and suppliers changes the IT game. IT has to support the identification of opportunities and the development of new means of digital engagement with customers and do this faster and more economically than ever. “…buy increased profitability or growth in a certain market, almost as a service from us. They don't want to pay for our people; they want to buy an outcome…"
Information is the most important asset in this world of “outcomes” or “Everything-as-a-Service”. 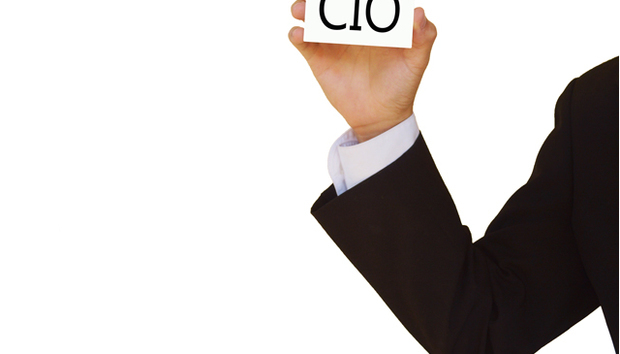 The most obvious and critical role the CIO can play is that of the Information Coordinator. I agree with the experts at the MIT Summit, who talked about the potential for the CIO to help organisations build and scale platforms to compete in the digital economy. CIOs will also play an important role in defining the policies to ensure the ecosystems of these platforms interoperate effectively and that data, while controlled and managed for policy compliance, is made widely available to the business. Above all, the CIO must be the guardian overseeing the protection, flow and effective use of information by an organisation. Managing this shift to providing wider access to data and faster action upon that data is no small feat. It requires skills and expertise that are not automatically associated with the CIO. Traditionally, the CIO has always been perceived as the person keeping the lights on, spending 20% of the budget on purchasing IT and 80% on keeping it up and running. This led to the perception that CIOs were resistant to change, willing to block innovation and IT adoption, in order to maintain the status quo. The CIO was viewed as an operational advisor, rather than as a collaborative member of the business team. This has been exacerbated in the digital era, with lines of business deliberately going around IT to adopt applications they felt were strategically valuable to the business. Overcoming these preconceptions and redefining the CIO’s relationship with peers in the business will take time, but time is the scarcest commodity as companies struggle to keep up with the accelerating pace of change. CIOs need to move quickly to establish trust in their new role as expediters contributing to success through digitalisation of business. The CIO spends every day trying to ensure that sensitive company data is protected against cyber threats and has probably the most complete picture of a company’s interactions with customers. Storing, processing and analysing the vast amount of data swirling around organisations is beyond the capabilities of any one business unit. The natural point of coordination is the IT department. Helping the business to define the value of the information available inside and outside the organisation is critical; and managing these information assets is perhaps the most important job for the new revitalised IT organisation and CIO. So how does the CIO demonstrate this grasp of the business value of data? He or she can start by helping the organisation understand the landscape of data the organisation has access to and what additional data is required to best leverage that. As CEOs seek to lead organisations through this outcome-led digital era they need help understanding what information is valuable and delivers competitive advantage. They need help to understand how to build a collaborative IT infrastructure, which enables them to pull data from multiple sources to identify opportunities and threats. Q. What company information, if it were leaked, would impact our competitive advantage? Q. Have we evaluated the potential threat to our reputation and share price if sensitive company or customer information were compromised? Q. Can we measure the correlation between the effectiveness of information sharing in our organisation and the percentage growth in cross-selling/upselling of products/services? Q. Can we measure a correlation between employee satisfaction (and therefore performance) and how well they view the company’s collaborative behaviours and information sharing? Q. Have we evaluated what information encourages customers to buy from us? This is a sample of the type of questions CIOs need to be able to answer if they are to assume a role as a key member of the business team. These questions are about the business impact that information can have on a business in its most basic terms and directly impact the value of the business to shareholders and to society. Data has different meaning for different stakeholders, whether they are shareholders, customers or employees. This adds to the complexity, but understanding the context and the impact of information on individuals inside and outside the organisation is critical to CIOs demonstrating their central role in the outcome economy. The flood of data being generated can be overwhelming and hide key insights from view. The CIO and IT organisation can provide maps of the data, allowing the line-of-business and corporate components to gain access to the information the need to optimize the business and allow it to reach its potential. In a world where the Internet of Things, social media, and broadly available data feeds are available to all, a central organisation curating this as information becomes critical. The digital era has no place for magpie hoarders of information, only organisations that make data in all its forms available to their employees, and who provide those employees with the best tools for analysis of opportunities and threats will succeed. The role of the new CIO needs to be one of an enabler and a curator of information as content.